Chicago has plenty of dining options for all ages, from picky eaters to parents. Here&apos;s your pick of kid-friendly restaurants to fill up on food with the whole family. The Rain Forest Café is a tropical play land for young adventurers. Nearby, Portillo&apos;s serves up Chicago classics like hot dogs, Polish sausage and Italian beef at this beloved chain will leave your tykes full, while the quick-service style ordering counters make for easy in-and-out dining. On Navy Pier, take a break from all the fun (this hotspot is home to the Chicago Children&apos;s Museum, AMC® Navy Pier IMAX® Theatre, Pier Park and boat tours) for some quick eats. Fried chicken and chicken strips pair with ice cream floats at Big City Chicken. Another local food court pick is DMK Burger Bar — families dig the specialty burgers of course but a great Grilled Cheese sandwich and Mac & Cheese round out the offerings. For pizza, sit down for a deep dish feast at Giordano&apos;s or grab a slice of Neapolitan at Frankie&apos;s By The Slice. For more on the pizza front, there&apos;s locations around every corner of downtown. 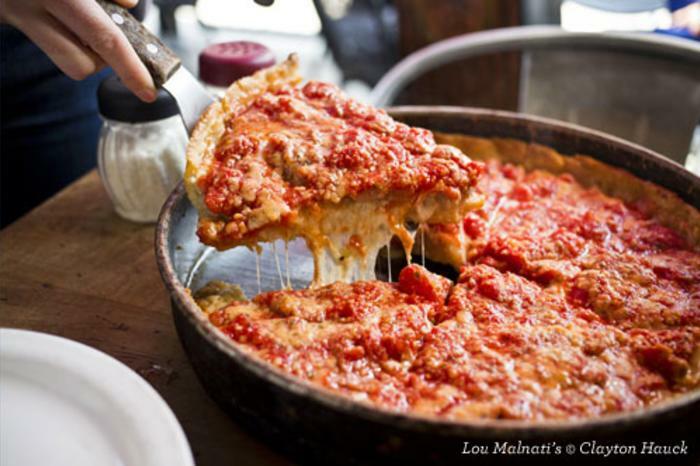 Pizza is a child favorite and Chicago-style deep dish can match the heartiest of appetites. Keep it simple with a cheese pie from The Original Gino&apos;s East or get a local favorite like The Lou from Lou Malanti&apos;s.
In Water Tower Place (after visiting Oak Street Beach or 360 CHICAGO (formerly the John Hancock Observatory)) is Foodlife, with 13 different food kiosks, where all members of the family can go their own way and find their own taste. Water Tower is also home to American Girl Place Chicago, and American Girl Cafe is the place for brunch, lunch, afternoon tea, dinner and parties with your doll-toting little lady. Sophisticated kids will appreciate the playful architecture of The Cheesecake Factory in the lower level of 875 N Michigan (formerly the John Hancock Center). 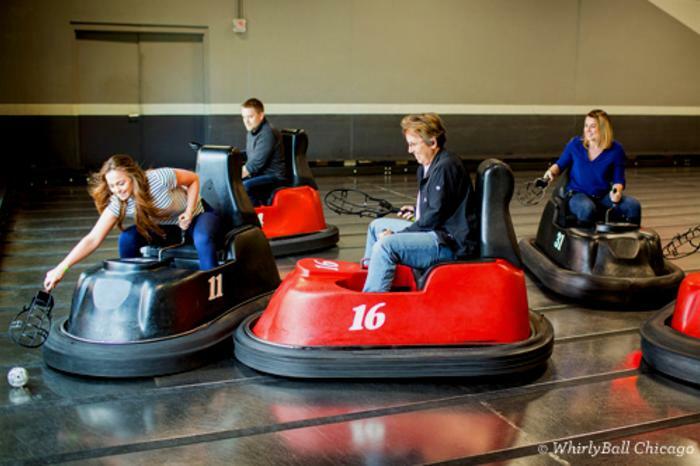 Or if playing games before, during and after a meal will make everyone happy, there&apos;s a whole slew of options: Dave and Buster&apos;s with its colorful arcade, Whirlyball which is great for preteens (there&apos;s laser tag and bowling too), and Harry Caray&apos;s 7th Inning Stretch adjacent to the Chicago Sports Museum has virtual gaming in all types of sports. But if you have access to wheels (or want to take the kiddies on a public transit adventure) and want to give the family a little taste of Chicago&apos;s unique side, venture out to Margie&apos;s Candies, an old-fashioned ice cream parlor that hasn&apos;t changed much in 80 years. In Chinatown, the bright and colorful Joy Yee&apos;s Noodles has sweet, fruity bubble teas and picture menus to pick out tasty Pan-Asian specialties. Or Superdawg Drive-In, where they still have carhops and a giant-size Mr. and Mrs. Hot Dawg sign that your kids will remember for years.